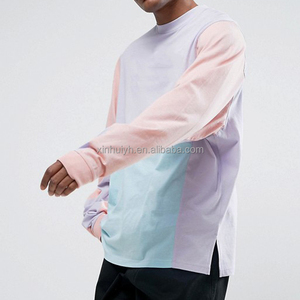 color swatch for men clothes color block combination long sleeve loose fit oversized t-shirt with side splits . size chart for men clothes color block combination long sleeve loose fit oversized t-shirt with side splits . neck style o neck , v neck , polo neck , mock neck , high neck , etc t- shirt size asia size & euro size . weight of fabric(light or heavy),color,size,logo,sample photos,label,hangtag design and your personal pregerence and market requirement. Alibaba.com offers 13,307 oversize t-shirt products. About 60% of these are men's t-shirts, 21% are women's t-shirts, and 4% are ladies' blouses & tops. 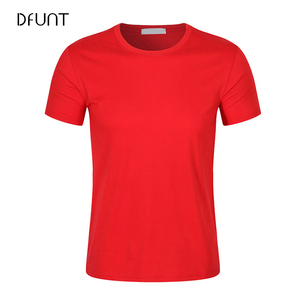 There are 13,356 oversize t-shirt suppliers, mainly located in Asia. The top supplying countries are China (Mainland), Pakistan, and India, which supply 82%, 14%, and 1% of oversize t-shirt respectively. You can ensure product safety by selecting from certified suppliers, including 888 with Other, 504 with ISO9001, and 191 with ISO14001 certification.